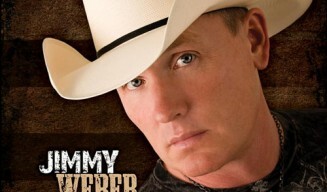 Jimmy Weber is a singer/songwriter/entertainer from Omaha, Nebraska. Performing professionally since age 12, he has earned a reputation as one of the Midwest's most exciting acts. During his career, Jimmy has shared the stage with such top entertainers as Tim McGraw, Clint Black, Kenny Rogers, and the Beach Boys. He had the distinct honor of playing lead guitar and singing backups for the late entertainment legend, John Denver during the "Welcome Home, Desert Storm" celebration. The performance enjoyed live and television audiences of over 250,000 people. Whether performing with a band before thousands of people, or doing intimate, solo acoustic guitar/vocal shows, Jimmy's love for entertaining is obvious. Check out his concert schedule and make it a point to catch a show. And don't forget to stop up to the stage and introduce yourself to Jimmy - You're sure to make a new friend!